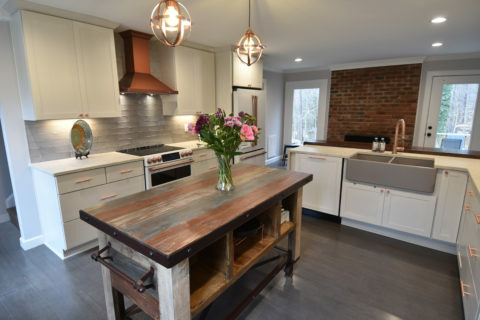 Our client’s goals for their contemporary style home centered on adding light, openness, and modernization while playing up the contemporary and craftsman influences already in the home. 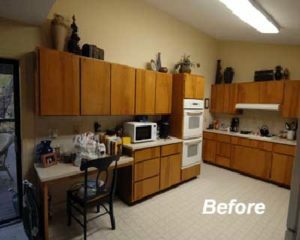 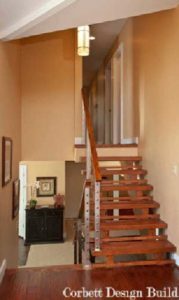 This was accomplished in the main living areas by removing the kitchen wall, relocating the kitchen, and replacing the stairs with a modern, open staircase. 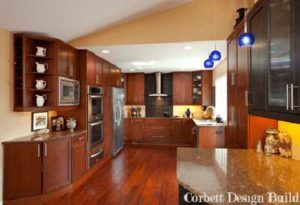 New features included new craftsman style cabinets, granite countertops, and stainless steel appliances. 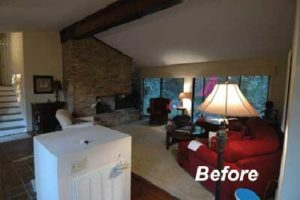 The fireplace was reworked with new stone and rich wood floors were added to give the ski lodge feel to the living room that our clients were seeking. 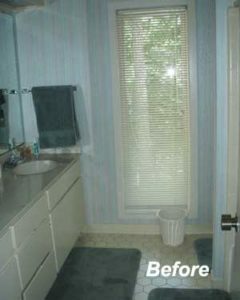 A mudroom and bathroom were added with a rubber floor for mud, snow and the dog. 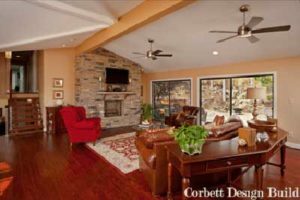 The “Man Cave” now has room for the billiard table and theater room. 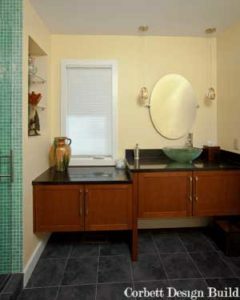 The hall bath now features “floating” cabinets and a modern vessel sink. 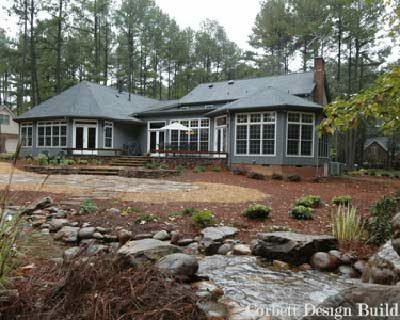 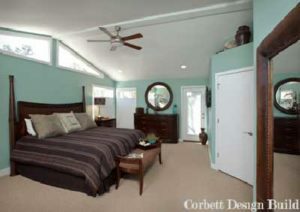 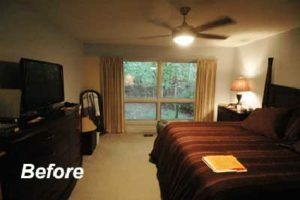 The master bedroom ceiling was vaulted and new windows and a doorway leading outdoors were added. 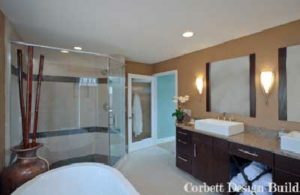 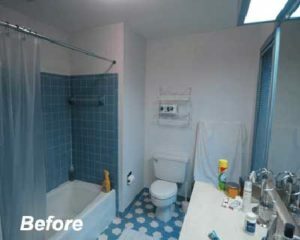 The master bathroom was relocated and enlarged and is now a beautiful oasis with its clean lines and spa features.